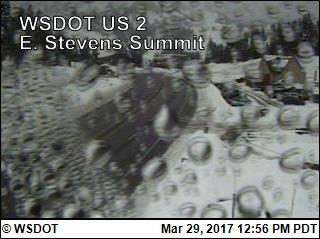 Your snowboarding source for Snoqualmie Pass. MOSTLY SUNNY EARLY THIS MORNING THEN BECOMING PARTLY CLOUDY. FREEZING LEVEL 7000 FEET. AFTERNOON PASS TEMPERATURES IN THE UPPER 40S TO MID 50S. EAST WIND IN THE PASSES 10 TO 15 MPH. PARTLY CLOUDY. CHANCE OF RAIN AFTER MIDNIGHT SOUTH OF SNOQUALMIE PASS. SNOW LEVEL 5500 FEET. EAST WIND IN THE PASSES 10 TO 15 MPH. MOSTLY CLOUDY WITH A CHANCE OF RAIN AND SNOW. SNOW LEVEL 4000 FEET. AFTERNOON PASS TEMPERATURES IN THE MID 30S TO LOWER 40S. EAST WIND IN THE PASSES AROUND 10 MPH. MOSTLY CLOUDY WITH A CHANCE OF RAIN AND SNOW. SNOW LEVEL 4000 FEET. 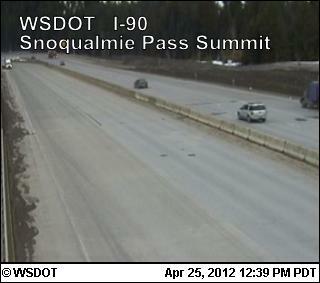 EAST WIND IN THE PASSES TO 10 MPH. RAIN AND SNOW LIKELY. SNOW LEVEL 4500 FEET. AFTERNOON PASS TEMPERATURES IN THE 30S. EAST WIND IN THE PASSES 10 TO 15 MPH. RAIN AND SNOW LIKELY. SNOW LEVEL 4500 FEET. AFTERNOON PASS TEMPERATURES IN THE MID 30S. MOSTLY CLOUDY WITH A CHANCE OF RAIN AND SNOW. SNOW LEVEL 4500 FEET. PARTLY CLOUDY WITH A CHANCE OF RAIN AND SNOW. SNOW LEVEL 4000 FEET. AFTERNOON PASS TEMPERATURES IN THE MID 30S. PARTLY CLOUDY. FREEZING LEVEL 6500 FEET. AFTERNOON PASS TEMPERATURES IN THE MID 30S. Hi Steve, I am trying to make contact but can't find an email address so apologies for doing this in public (you can always delete this comment). I am working on building a blog portal for ski and snowboard bloggers and thought you might like to have your feed included. Please get in touch: luke at snowgo dot com. No problem - That would be great!